Two Marklin 7187 HO scale Distant Light Signals. Previously owned with unknown usage. Estate purchase. I've never dealt with train parts before, so I've been doing quite a bit of research. About the only thing I found was these Marklin 7187 lights were made between the years of 2000 to 2004 and that they retailed for $21.99 each. Other than that I didn't find much info at all. I guess that it's assumed that anyone who uses these parts already know how to connect them and set them up. Looking at my photo, you'll see that the lights still have wires attached. One of the lights has 2 wires, one has 3 wires. One has a bottom plate that is just a little longer than the other. I see no breakage or cracks in either light. There are no boxes or instructions. They measure 2.5 inches tall. Delivery will be via USPS First Class Mail parcel. Buyer to pay $4.80 delivery charges. 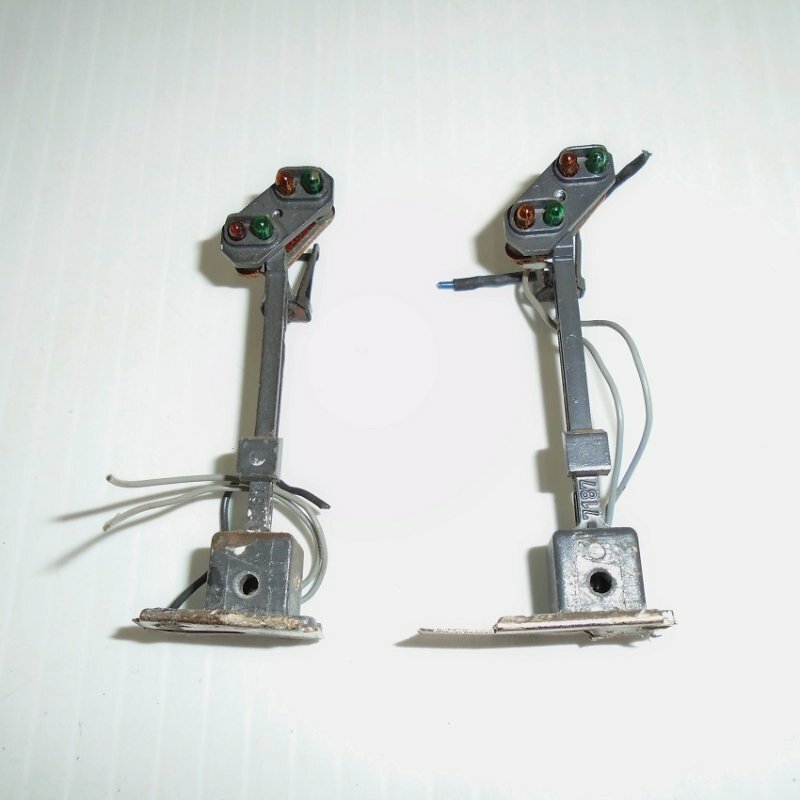 Two Marklin 7187 HO scale Distant Light Signals. Previously owned. Estate purchase.